In this riveting thriller by an ex-Mossad agent, an Israeli spy risks his life to save a Hezbollah leaderFor over a decade, Mishka Ben-David was a profes­sional spy, taking part in secret operations on be­half of the Mossad, Israel's legendary intelligence agency. But after twelve years of service, Ben-David quit the Mossad and became an acclaimed novelist, describing life as a spy from within. A major best­seller in Israel, Duet in Beirut is Ben-David's first book to appear in English. Ronen, an expelled Mossad agent, has disap­peared following a failed assassination attempt against the Hezbollah operative responsible for suicide bombings in Israel. Feared to be on an un­authorized mission, it is up to his former command­er, Gadi, to track Ronen down and stop him from causing harm both to himself and to his country. The physical and intellectual scuffle between the two men becomes one of deeper, moral inquiry. Written with a master novelist's terse convic­tion, Duet in Beirut takes us inside a much-dis­cussed but little understood world. 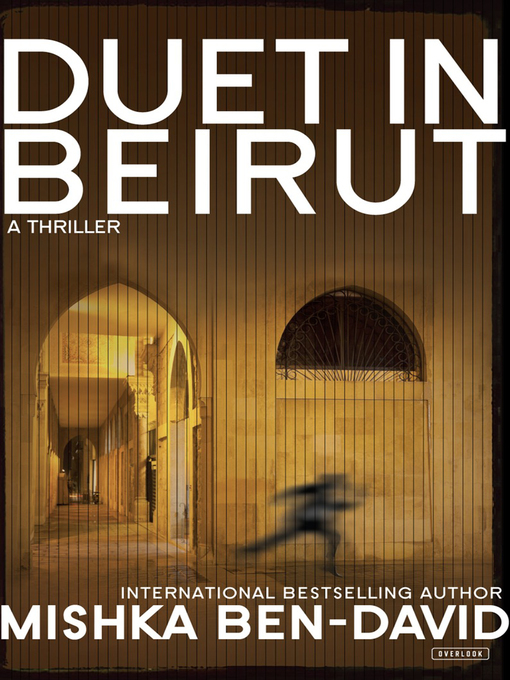 As revealing in its psychological acuity as it is in its portrait of life in the Mossad, Duet in Beirut is an essential thriller of espionage and political intrigue.